Club Penguin Cheats by Mimo777 Club Penguin Cheats by Mimo777: Club Penguin Christmas Party FREE item... North Pole Background! Club Penguin Christmas Party FREE item... North Pole Background! The December 18th new Club Penguin FREE from the 12 Gifts of Christmas in the Forest is here! 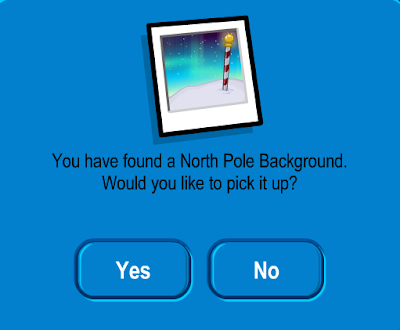 You now have the North Pole Background! Sweet, huh? is it only me or is everyones friends list taking long to load?